Philip Cheang and Thomas Dy experienced how easy and hassle-free it was to commute and get around in other countries. 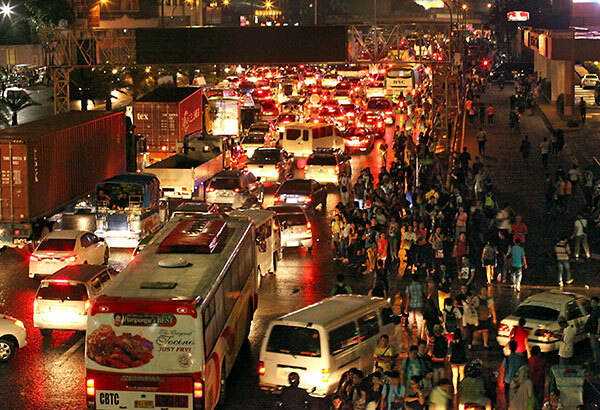 Whereas in the Philippines, public transit directions and signage are unclear and disorderly, making it confusing to commuters, even those who are locals in Manila. So when they were given the chance, they created a way to address the problem. 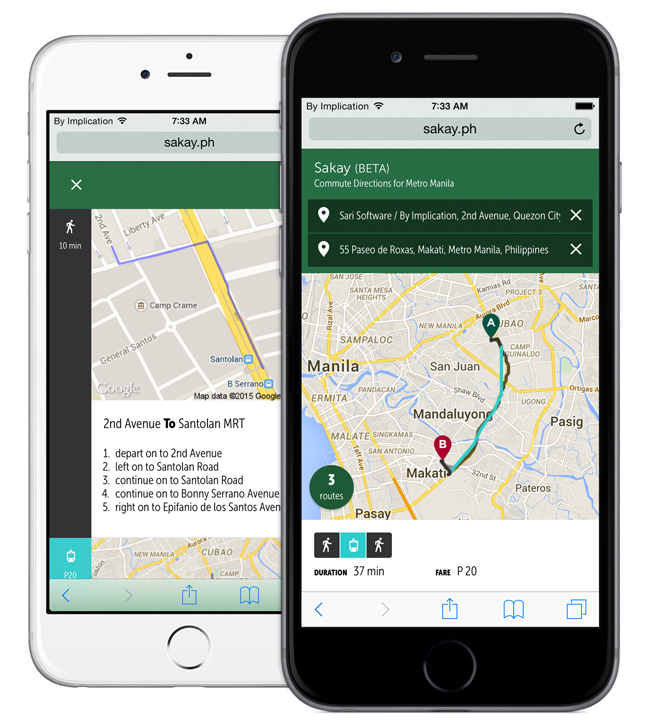 Sakay.ph initially started out as a hackathon project by Thomas and Philip for the 2013 Philippine Transit App Challenge (PTAC). It is a web service and app where people can search how to reach certain places in Metro Manila through the use of jeepneys, buses, and trains. It’s like Google Maps or Waze, but is specifically designed for commuting. Simply type in your current address in the route tab and the place you wanted to go into in the destination box. They eventually won the PTAC, however, for a year they just kept the original version of the application open to the public while they focused on their client and main projects. After a while, it started being noticed by different media outlets which made them shift their full focus to it. Now, Sakay.ph had grown into 16 team members who specialize in fields like UI/UX design, software development, and transport science and analysis. Sakay.ph, under parent company By Implication, was founded by Thomas and Philip together with three other friends. They started it after winning Microsoft’s Imagine Cup, an international student technology competition. They were fresh graduates and had long wanted to enter the software and gaming industry. 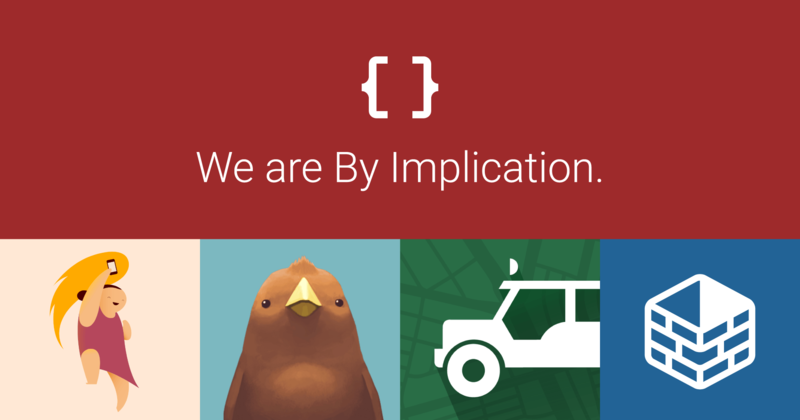 By Implication started as a software and game development firm, however, they eventually shifted to client-servicing work in order to fund their own projects. Their company then became known through several projects like a platform for indie comic books, a sales management app for SMEs, a government spending tracker site, and then Sakay.ph. All successful startup companies have stories of challenges to share. And like the rest of us, Sakay.ph’s problem came from the ones we experience every day. Built based on the architectural design of the Spaniards during the Spanish colonization, streets around Manila are known for their narrow paths, which makes it hard to have all of the exact routes and traffic laws. This problem pushed the team into making a more in-depth check on the strategies they must have in order to improve Sakay.ph. 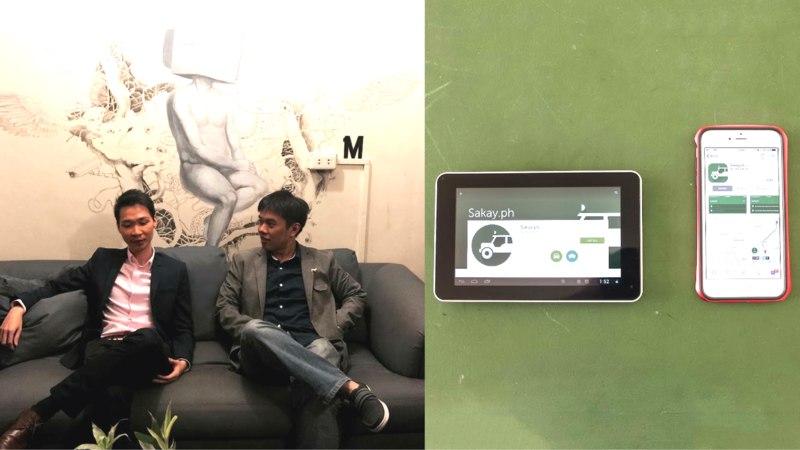 “A lot of the work we’ve been doing recently on Sakay.ph has involved actually going out and getting the necessary traffic data ourselves, or building systems that will allow us to crowdsource information and corrections from our users,” he said. Philip also mentioned another problem they encountered—the Philippine Transportation System. Despite being faced with these challenges, the team strived harder in order to give the Filipino community the help they need. “Of course, the kind comments and offers of help we receive from users don’t hurt. We’d continue working even without that kind of encouragement, but it certainly helps!” he said. And unlike other teams, Philip said that the success of their company is not because of the app they created, but because of the team’s efforts. They said that 2018 will be a year full of big changes and improvements such as redesign, rebranding, and partnerships for Sakay.ph. Further improvements when it comes to data collection and crowdsourcing efforts will also be implemented by the team. Hopefully, within the next few years, Sakay.ph will not only be catering their services to places in Metro Manila, but also to other areas in the Philippines that are prone to traffic.